Cover Reveal - Unstable - Kitty's Book Spot! 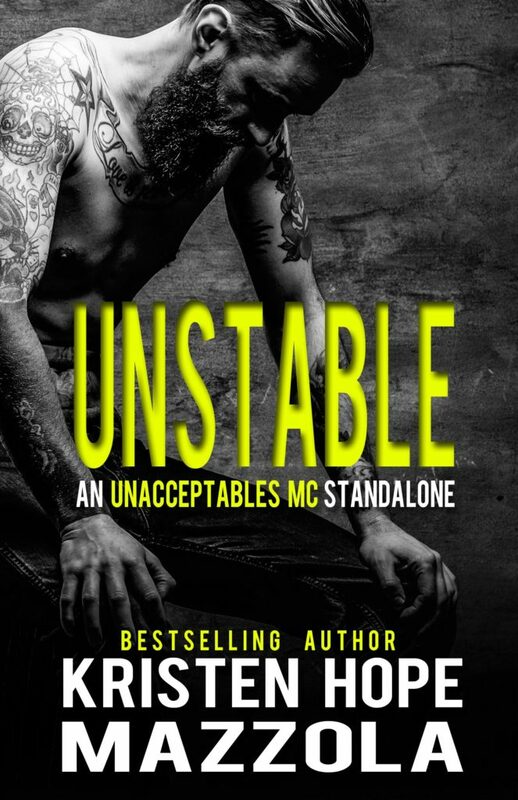 Unstable by Kristen Hope Mazzola is releasing on August 31st! It’s finally my time… I am an outlaw. The proud right-hand man to the president in the Unacceptables MC. I wasn’t prepared for the curveball life was about to throw at me. But if there is one thing I have learned from being in my organization: you have to be ready for anything. When Ryder showed up on my doorstep, I wasn’t sure if I could handle it. I didn’t know how to be a father. I am Holt Walsh, and this is my story.